NOTE: Tickets can be purchased at the kiosk in the Confederation Court Mall from 11am-4pm (next to Shoppers Drug Mart) and also at the Indian River Festival office in Kensington at 55 Victoria St., Suite 18 from 9am-5pm weekdays. Physical tickets guarantee entry to shows, all wristbands and pass access subject to capacity. 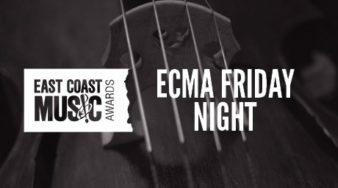 Access To: All 2019 ECMA stages at bars and clubs, and evening stages at Delta Hotels by Marriott Prince Edward May 3-4, 2019 (subject to capacity). Access To: All 2019 ECMA stages at bars and clubs, and evening stages at Delta Hotels by Marriott Prince Edward May 1-5th, 2019 (subject to capacity). **Those arriving later than 8PM may be required to wait for an appropriate break during the show to be seated. 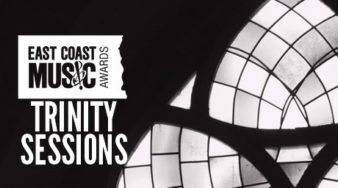 For the ultimate VIP experience at the ECMA Awards Show, May 2 at Delta Hotels by Marriott Prince Edward get the up and close view with a VIP table! Tables seat ten and include access to the red carpet. Performances by Mark Bragg, Meaghan Blanchard, Dave Gunning, and Jimmy Rankin. Performances by Quote The Raven, Villages, Tomato Tomato, Matthew Byrne, The Once, and The East Pointers. MAY 4 / 7PM / 6:30PM DOORS / Trinity United Church / $25 + FEES or $30 at door. Performances by Mary Beth Carty, Rosemary Lawton, Ben Miller & Anita MacDonald, Gordie MacKeeman and his Rhythm Boys, Vishtèn, Barra MacNeils, and more. Wristbands / VIP Passes require ticket for entry. MAY 3 / 7PM / 6:30PM DOORS / Trinity United Church / $25 + FEES or $30 at door. Performances by Fara, Dara Smith-MacDonald & Adam Young, Tara MacLean, Museum Pieces, Catherine MacLellan, and Lennie Gallant. Performances by Classified, Brandon Arnold and K.U.$.H! 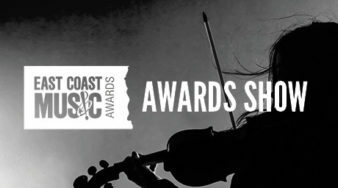 Performances by Tomato Tomato, Tara MacLean, Dave Gunning, Tim Chaisson (of The East Pointers), Classified, Old Man Luedecke, Fortunate Ones and Mo Kenney! VIP Passes have access to this show. Performances by Ben Miller & Anita MacDonald, Vishtèn and Còig! Festival & Conference Passes / Wristbands / VIP Passes require ticket for entry. Performances by Catherine MacLellan, Dennis Ellsworth, Adyn Townes, Carmel Mikol, Lisa Richard. Festival & Conference Passes / Festival Wristbands / Weekend Warrior Wristbands have access to the show starting at 6:30pm, Doors at 6:15pm. Subject to capacity $15 (cash only) at the door.